The Indian car market seems to be under an evil spell. Maruti India suffered a blow and August car sales stayed meek. As per the reports, an impact on production of two Maruti cars viz. 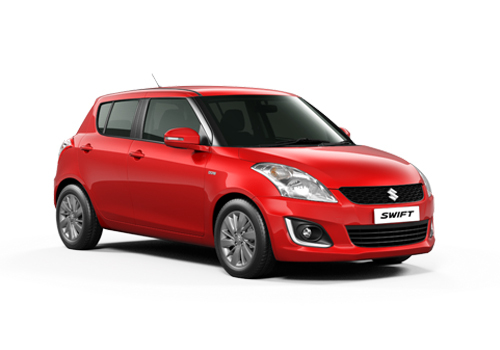 Maruti Swift hatchback and Maruti Swift Dzire compact sedan have brought down Maruti’s car sales by 35 percent. Meanwhile, the no production of the Maruti A Star is said to have resulted in the dip by 72 percent in exports. Not just Maruti India, other carmakers also posed not so inspiring car sales figures in August. Credit it to slow market or interest rates or the falling rupee value or the high price of petrol or any other reason or a mix of these but all these have resisted the customers to step inside the car showrooms. As per the sales data by Maruti, it has sold 50129 cars in India this August and could export only 4025 cars in the month. The slow sales trend is expected to continue in September and it will be end of September and early November that the sales are expected to pick up. Diwali is on November 13 and in India people wish to drive home their new car at this time. Also, those who wish to buy cars now intentionally defer their delivery to November. Thus in August and September where the sales figures remain low, the bookings figure is quite high. However, despite of all the projection of a recovery during Diwali, experts suggest that the overall car sales this fiscal will be low. Meanwhile, second largest car maker Hyundai has also reported meek sales growth by 6 percent only even after the launch of its new sedans Hyundai Elantra and Hyundai Sonata. Third largest car maker Tata has reported a sales boost by 33 percent and gave credit to Tata Nano. Mahindra’s sales grew by 39 percent mainly following the Mahindra XUV 500 and Mahindra Xylo sales. The new Mahindra Verito has also contributed to the sales push. Other car makers that posted significant growth are Toyota and Audi. Maruti is all Fature good. Then why Maruti sales slow in August.why? This incessdent is so bad for Maruti Motors.